The Loth Loriën is a modern three-masted barkentine, 48 metres in length. 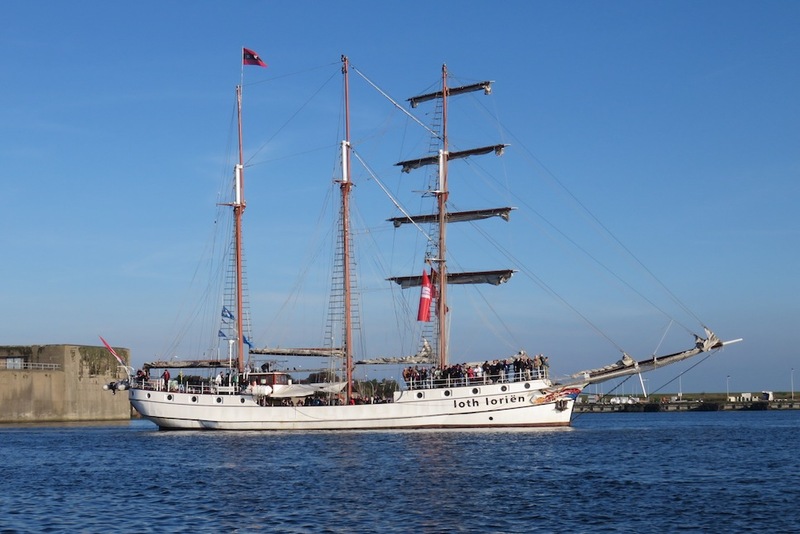 Up to 90 passengers can sail on board the Loth Loriën. For weekends and longer cruises, our ship has room for 36 passengers. The fully equipped galley can produce delicious meals. In the saloon, there is room for 40 guests. The Loth Loriën looks back on an eventful history. Built in the Norwegian town of Bergen in 1907, she sailed originally as a herring lugger. In 1989, Jaap van der Rest acquired the reliable working boat from the rugged North of Europe. Until 1992, he converted her into a two-masted lugger with modern rigging and provided her with a luxurious interior. 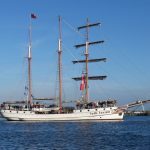 In the winter 2001/2002, the ship was again modernised and refitted: in the season 2002 she’ll put to sea as a three-masted fore-and-aft schooner.